Australia are the bookie-favourites with their 2032 Olympic location odds of 3.00, but the joint bid by South and North Korea would be the most popular decision. Their odds are 4.00. However, the German candidacy seems super exciting as well, and then there’s India. Their respective odds to host Olympic Games 2032 are 5.00 and 6.00. Which bids will win the favour of the International Olympic Committee? Bet on Olympic hosts! We already know where the next three Summer Olympic Games will be held: Tokyo will host the 2020 Olympics and Paris gives venue to The Games in 2024. Los Angeles was the only bidder for 2028, so they obviously won, after losing to Paris for 2024. However, 2032 is still in question. The International Olympic Committee will decide about the winner. So far, there are four countries. They have enough time to build their campaign: according to the tradition, the IOC names the host country 6-7 years before the event. So, we won’t know before 2025. But still, you can already check out the 2032 Olympic Location odds. The city of Brisbane applied for hosting the 2032 Olympics because the bidding system changed. Long story short, the new system saves huge amounts of money for the Australian city, which makes it possible and realistic for them to apply. So realistic, that they are actually the favourites at online sportsbook sites in Australia. The 2032 Olympic location odds for Brisbane are 3.00. The tiny city needs a lot of improvement, but they seem encouraged to host the Olympic Games. Can they? The Olympic Games is a symbol of a world united by sports. No matter where you came from, we all want the same: glory for our nation. That’s why the North Korean candidacy is one of the hottest topics when it comes to the Olympic Games. A tiny place so separated from the Western world still trying to host such an event, it just sounds way too beautiful for the IOC to ignore. If that’s not enough for the Hollywood drama, there’s one more thing: North Korea are applying together with their arch-enemies South Korea. What a perfect metaphor of making peace with your worst enemies! Everyone loves such stories. That’s exactly why you should bet on North Korea to win the bid. Their 2032 Olympic location odds are 4.00. It’s been a while since Germany last bade for hosting the Olympic Games: Munich won those rights back in 1972. 60 years later seems to be the perfect time for another Olympic Games to be held in Germany. However, this time it’s not Munich that applies. 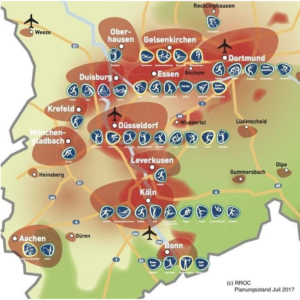 It’s 13 cities across North Rhine-Westphalia, including Düsseldorf, Bonn, Dortmund, and Cologne. While 2032 Olympic location odds see bad chances for Germany, their case is actually quite strong. The cities are close to each other, the infrastructure is outstanding, they would only need to construct 20 percent of the necessary facilities. The plan for Germany to host the Olympic Games in 2032 seems like the most logical decision, which is not explained by the 5.00 odds. Indian sports market to be mined upon Olympic hosting? India’s candidacy is another interesting topic. India has never hosted the Olympics. In fact, sports are not the most important thing in the country, apart from cricket. However, the President of India’s Olympic Committee, N. Ramachandran believes India has good 2032 Olympic location odds. He believes it would be beneficial for the country and for the people. 1xBET Sportsbook gave 6.00 odds for India to host the 2032 Olympic Games. With these, they are the least likely ones of the candidates so far. However, the second most populous nation in the world has a huge marketing potential in sports. Would they need an Olympic boost to exploit that potential? 2032 Olympic Games will be announced in 2025. So many countries still have the time to prepare their cases and come up with a plan to apply for hosting the Olympics. We can expect countries that were previously interested in but ruled out. For example, Russia, Malaysia, Singapore or the Netherlands all applied but lost the rights to host 2028 Olympic Games. We should expect them to be interested in applying to be 2032 hosts as well. In fact, Malay Olympic Council president already commented on a possible joint-bid between Malaysia and Singapore. Should that happen, how do you think the 2032 Olympic location odds would change? 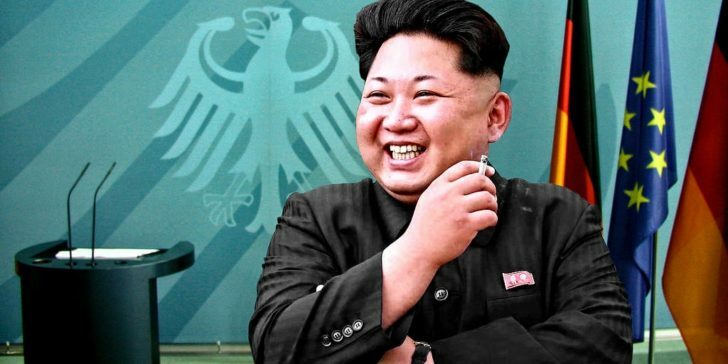 Olympic Winter Games 2018 Is Coming, Check Out The Best Kim Jong Un Betting Specials! Bet on Second Trump-Kim Summit: When & Where It Will Happen?